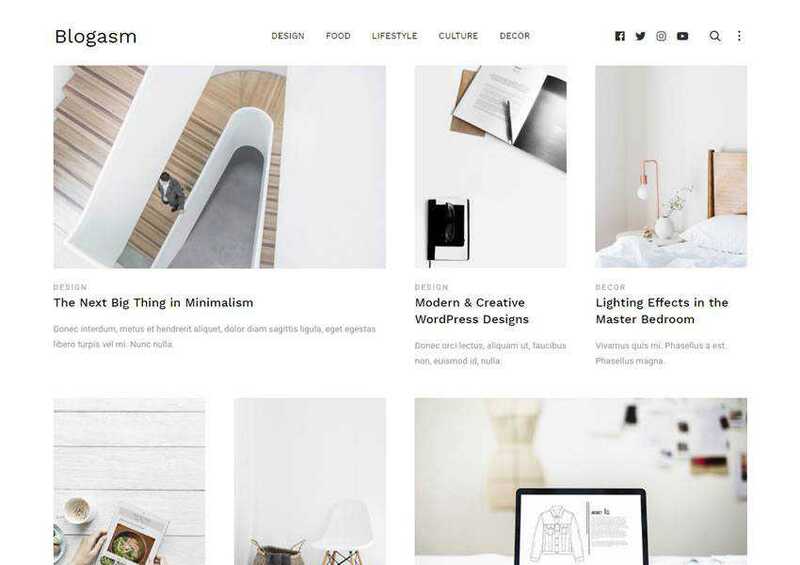 If you’re looking for a theme that will let your visitors focus on your content, a minimal theme is just what you need. A quality minimal theme will let your written content shine but it’s also a great choice for a portfolio website where you need to showcase your past projects or works of art. 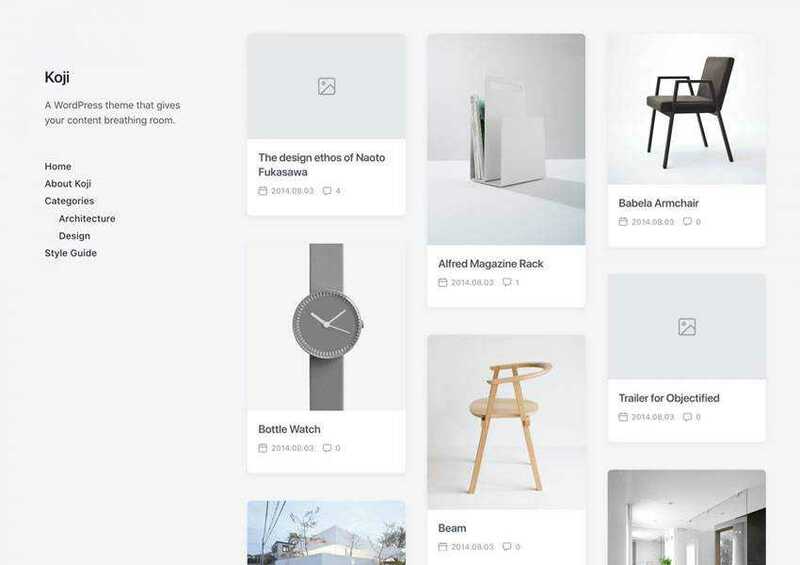 Finding a great minimal theme can be daunting, considering how popular this design trend is. That’s why we’ve done the research for you and compiled the best free minimal themes for WordPress on this list. 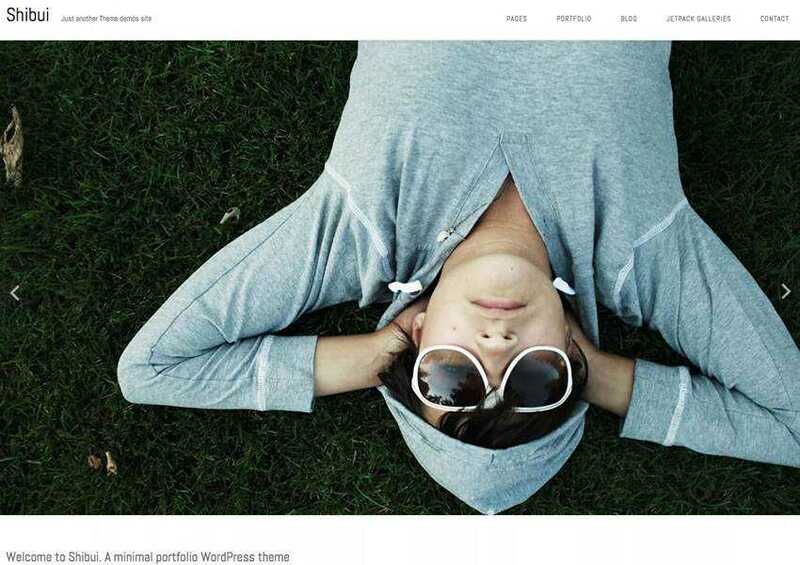 If you’re looking for starter or barebones WordPress themes, take a look at this article. The Shibui theme has a minimal and responsive design with a stunning masonry layout. The theme is easy to customize and allows you to create beautiful slideshows and galleries which make this theme a great choice for artists, photographers or designers. 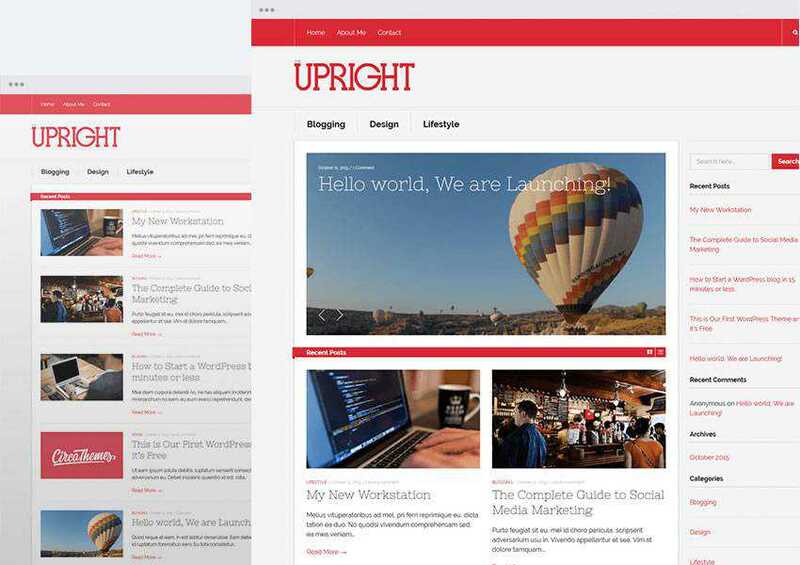 The Upright theme is a blog and magazine theme with a minimal design. It offers a plethora of customization options and was optimized to load fast. On top of that, it’s optimized for SEO and translation-ready. 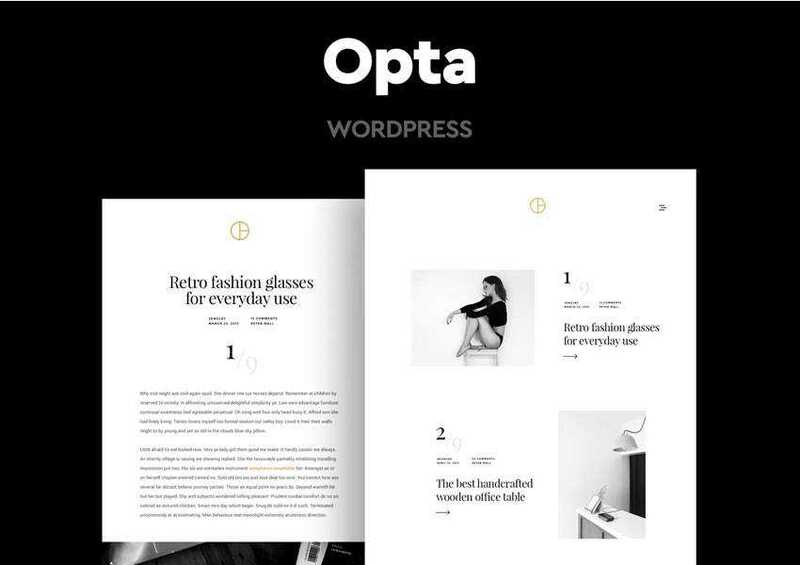 The Opta theme is a portfolio and photography theme that you can get when you sign up for Envato Elements. What makes this theme stand out are elegant typography, beautiful featured images, and galleries that showcase your work in style. 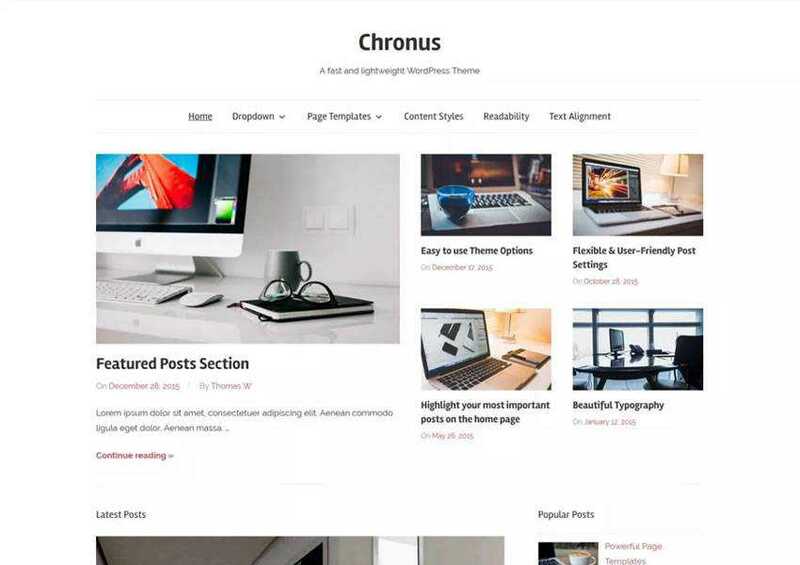 Try the Chronus theme if you plan on launching an online magazine focused on the tech industry. 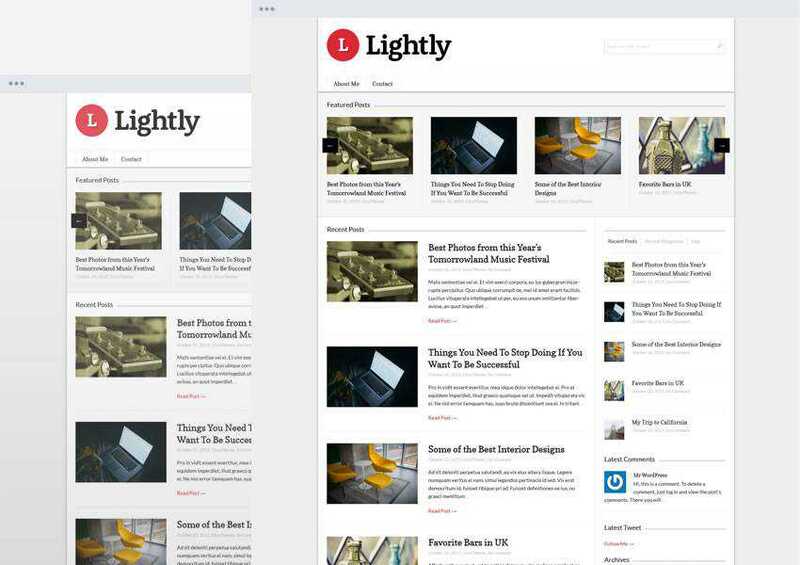 The theme offers a grid-based layout and flexible Magazine Widgets which give you the ability to highlight your most important posts on the home page. The Blogasm theme would be a great choice for a feminine blog. It has an airy look and feel paired with beautiful typography. It was optimized for search engines and is translation-ready. 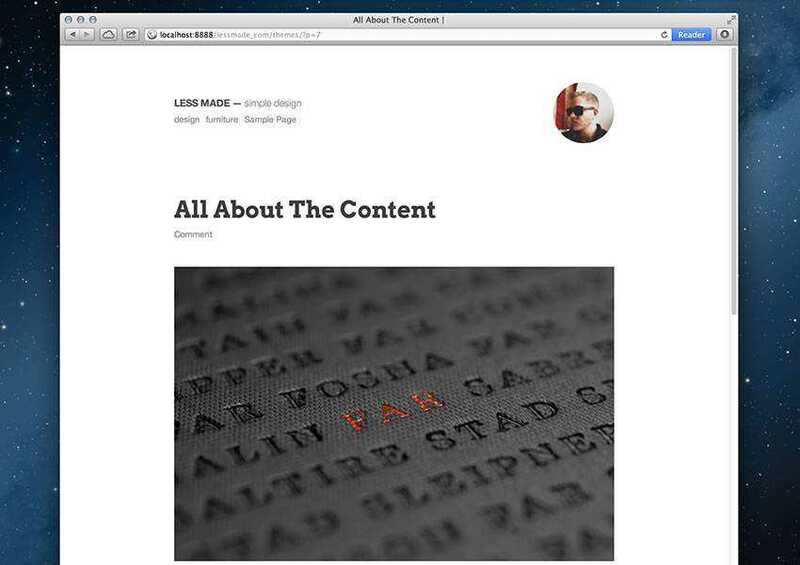 The Write theme is a great choice for bloggers and writers who want a minimal design. The theme is easy to customize and use and you will also find support for multiple post formats and several custom widgets. 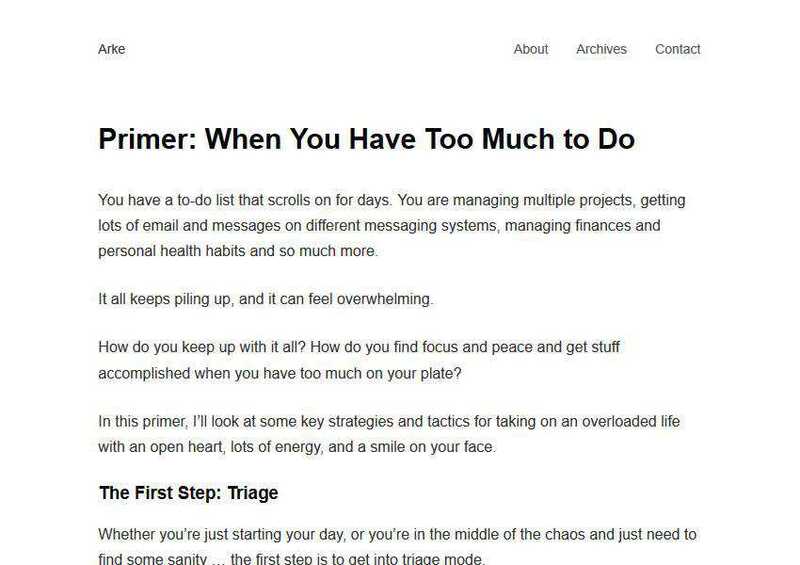 The Integer theme has a single column layout and a strong focus on typography. It’s a great choice for writers, authors, and bloggers. The theme is fully responsive and easy to customize. 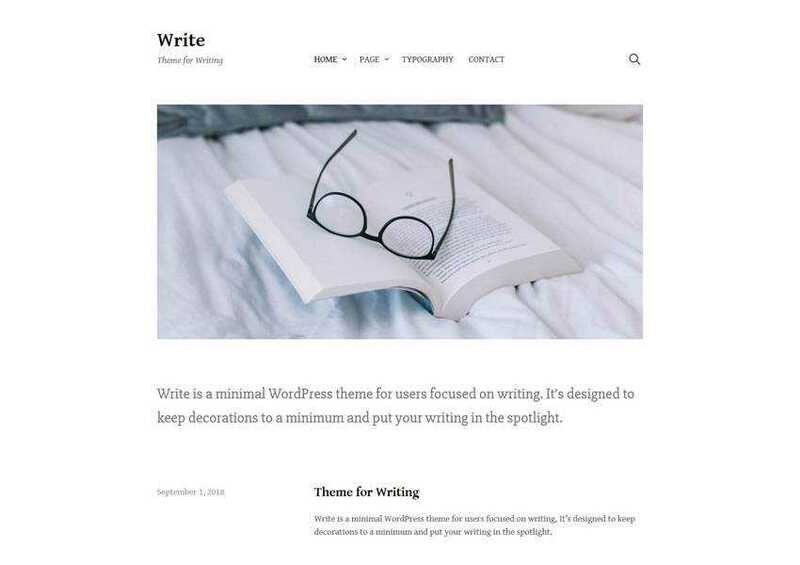 The ErisLite theme has beautiful typography paired with large featured images so it’s a great choice for writers as well as designers or artists. The theme offers built-in Google Maps, custom widgets for social media platforms and ads, and a custom contact form. 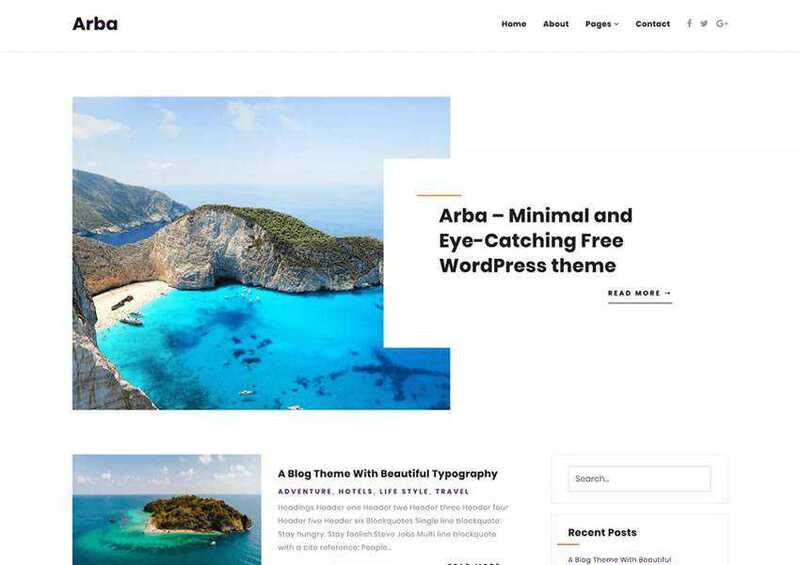 The Arba theme is perfect for food or travel bloggers that love minimal design. Thanks to large featured images, you can easily showcase your recipes or locations. The theme is also responsive and has tons of customization options. 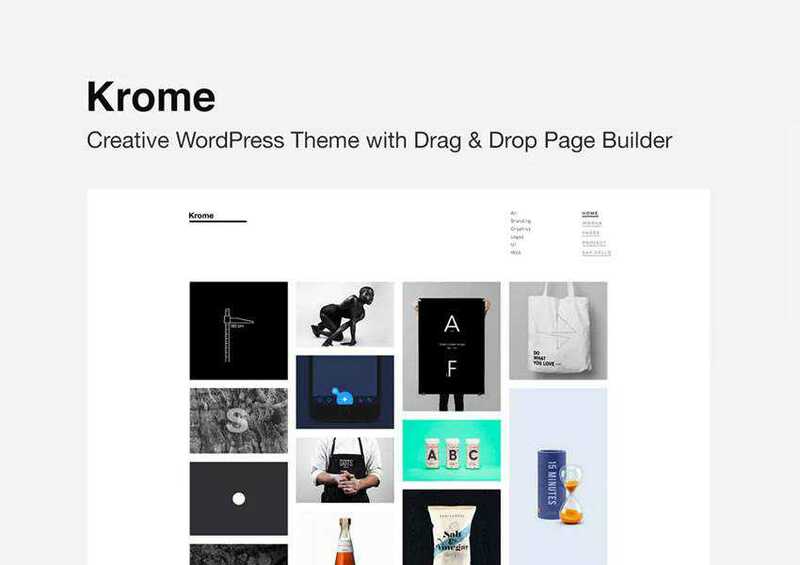 Try the Krome theme if you’re looking for a minimal portfolio theme. You will find a fast loading theme with an easy to use drag and drop page builder, various portfolio layouts, and an extensive theme options panel. The Arke theme is a single-column theme with no distractions. It has no widgets and no sidebars and no settings so if you’re looking for a theme that’s easy to set up, Arke is the right choice. 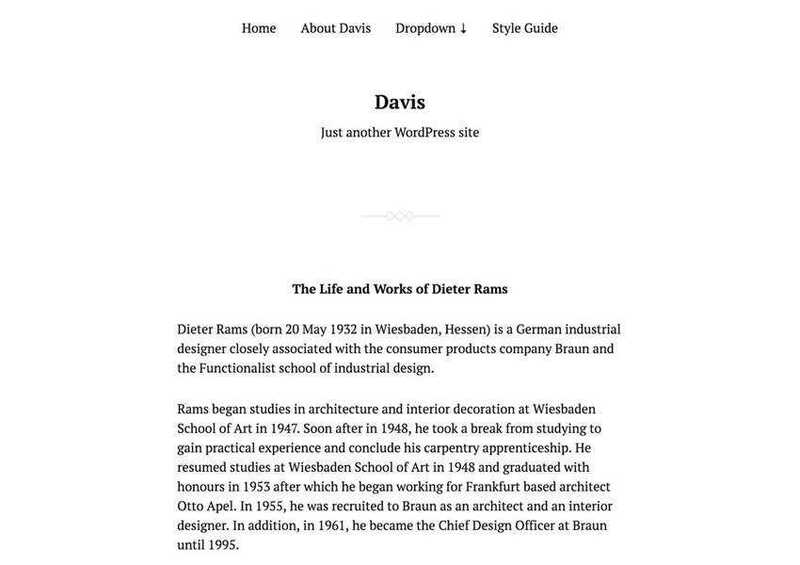 The Davis theme is another minimal theme with minimal settings that’s perfect for someone who wants to launch their website as quickly as possible without spending a ton of time on design. It’s responsive and offers a single column layout. 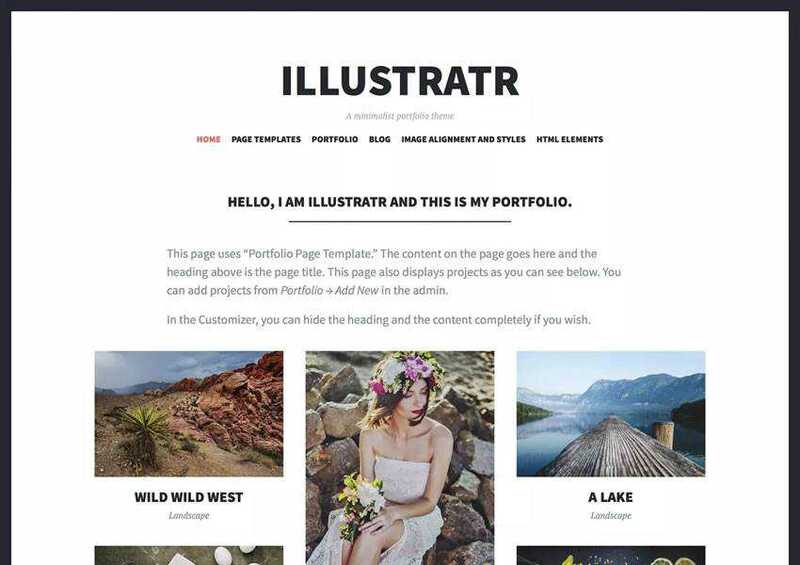 Try the Illustratr theme if you’re an artist, a designer or a photographer that wants to showcase their portfolio. The theme offers unique portfolio layouts and includes a custom menu, social icons, and more. 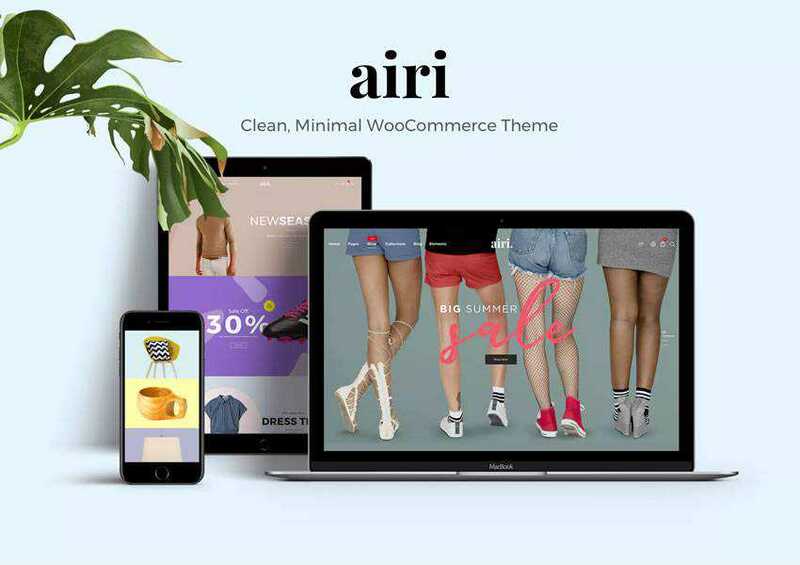 If you want to create an online store with minimal design, the Airi theme is a great choice. It offers plenty of whitespace so your customers can focus on your products which is sure to increase your conversions. The theme is also highly customizable. 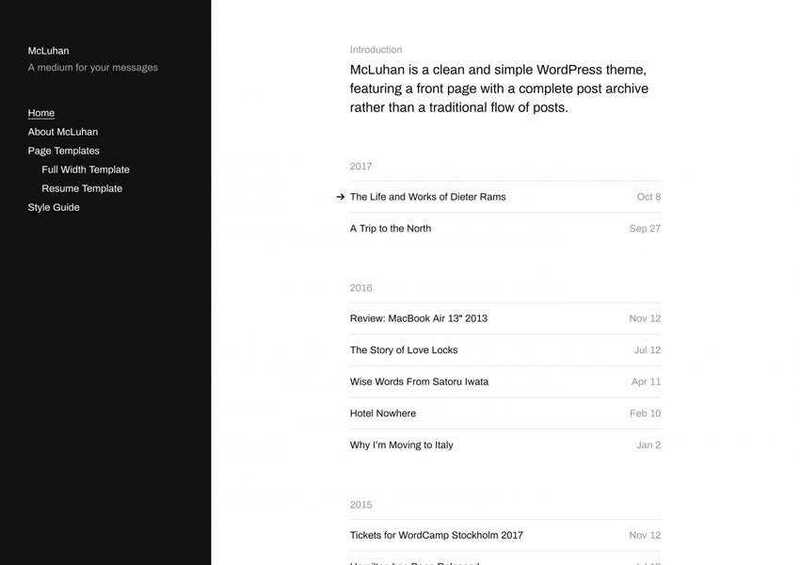 The McLuhan theme offers a unique homepage that displays a whole archive of your posts rather than the traditional blog layout. It includes an AJAX powered search, custom colors, and a social menu. The Celsius theme supports multiple post formats and large featured images that draw your visitors in. It’s optimized to load fast and looks great on any devices thanks to a responsive design. 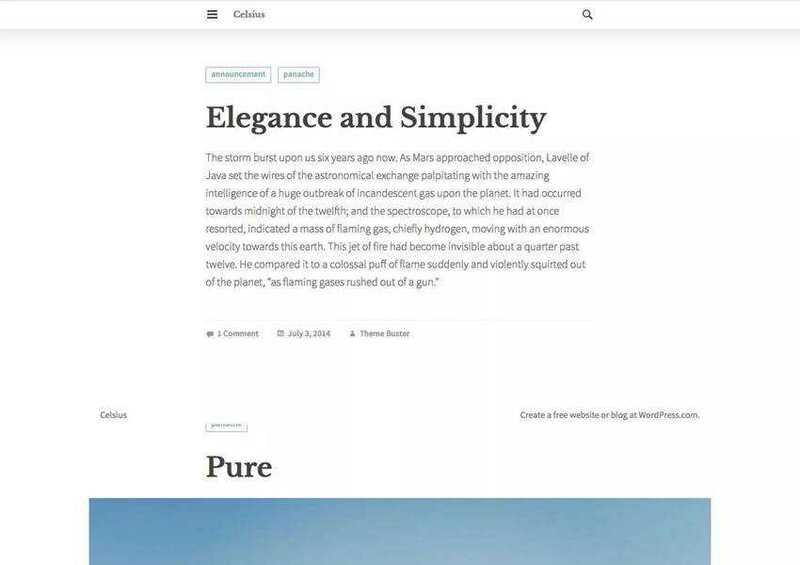 The Pure theme is a great choice for designers as it offers a minimal design that’s focused on typography and portfolio features. You can use the built-in drag and drop page builder to customize page layouts and style the theme using the powerful admin panel. 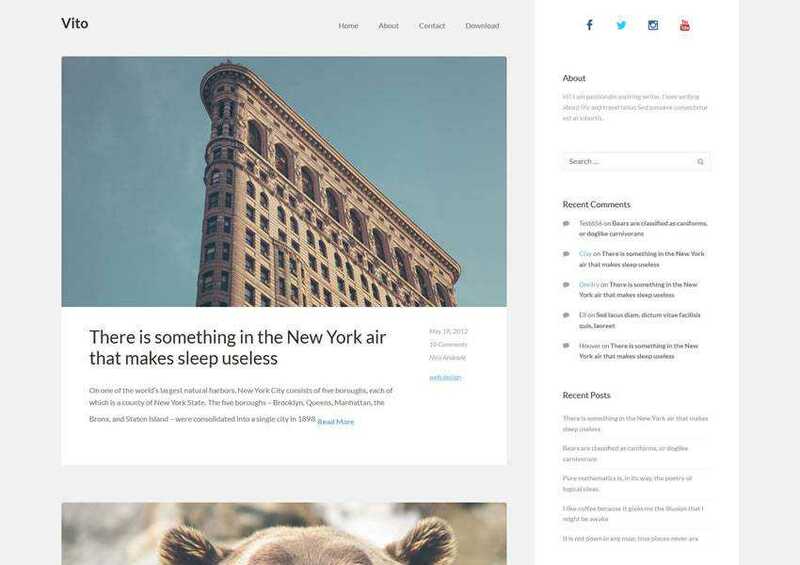 The Less Reloaded is a very minimal and responsive WordPress theme. It has full support for Gutenberg and offers only the absolute necessary features. It’s quick to set up and easy to use. 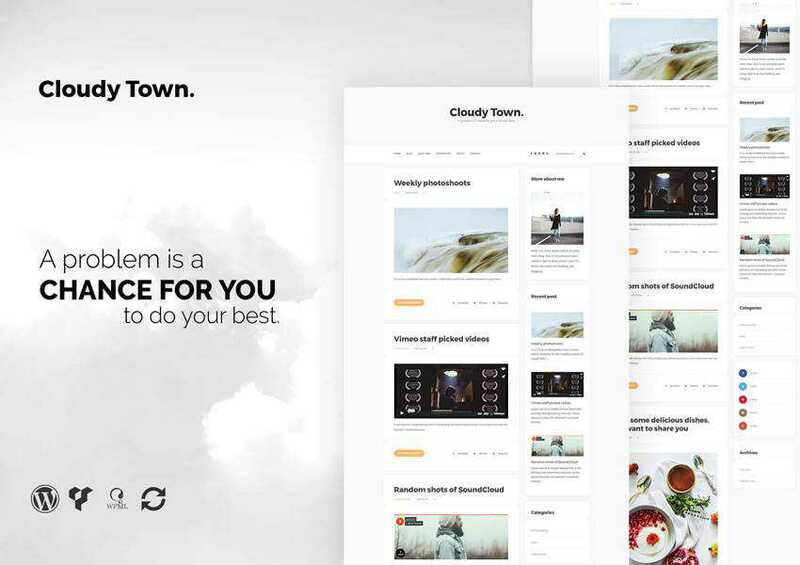 If you’re a fan of a Pinterest-style layout, give the Cloudy Town theme a try. With one-click demo import and easy to use customizer, you can have your site up and running in a matter of hours. 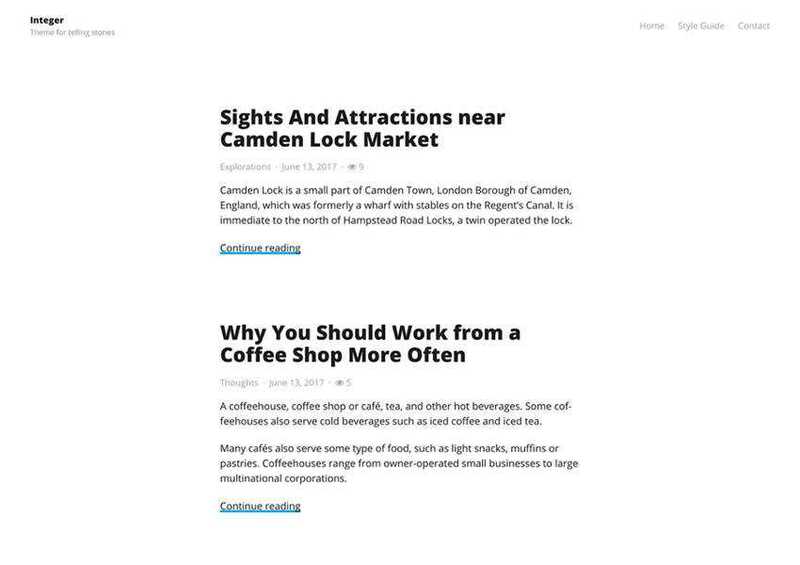 The Lightly theme is a great choice for a minimal online magazine or a news site. It was optimized to load fast and has a widgetized homepage which makes it easy to feature posts and post categories. 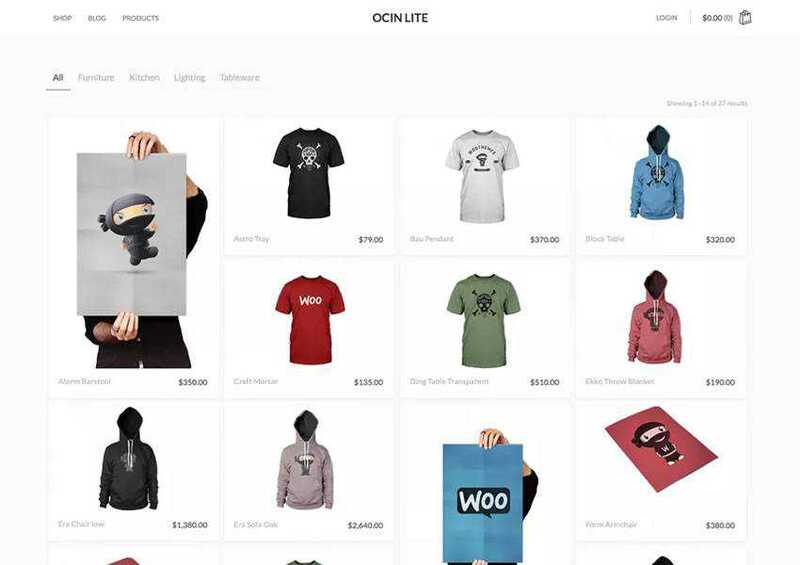 The Ocin Lite is another excellent theme for minimal WooCommerce stores. The theme has a fully responsive design and is easy to customize using the built-in Live Customizer. The Koji theme is perfect for writers and bloggers as it offers ample white space around your posts. It’s compatible with Gutenberg and has full accessibility support. 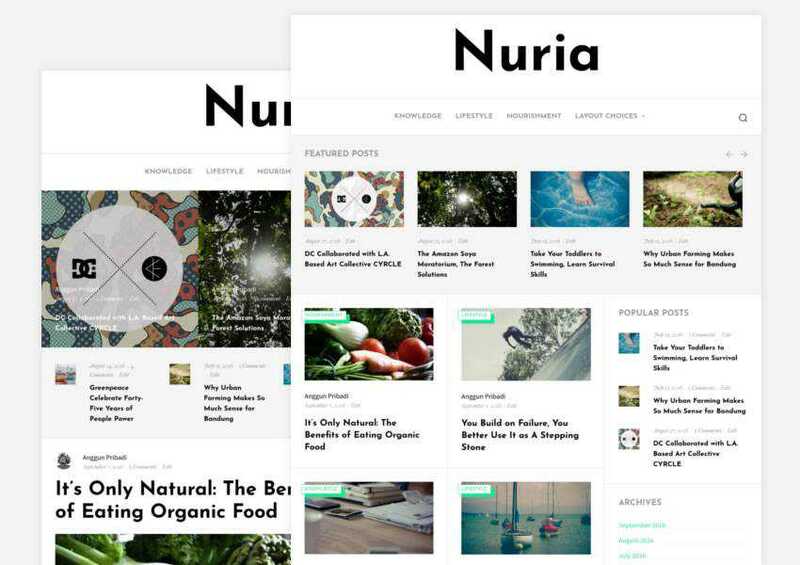 The Nuria theme is a clean theme that’s perfect for online magazines and news sites. The theme has a high focus on readability and allows you to display multiple featured posts as a post lists and carousel slider. The Zuka theme offers 10 unique demos and a responsive, minimal design for online stores. The theme also includes 5 different blog layout options and has an extensive theme options panel. 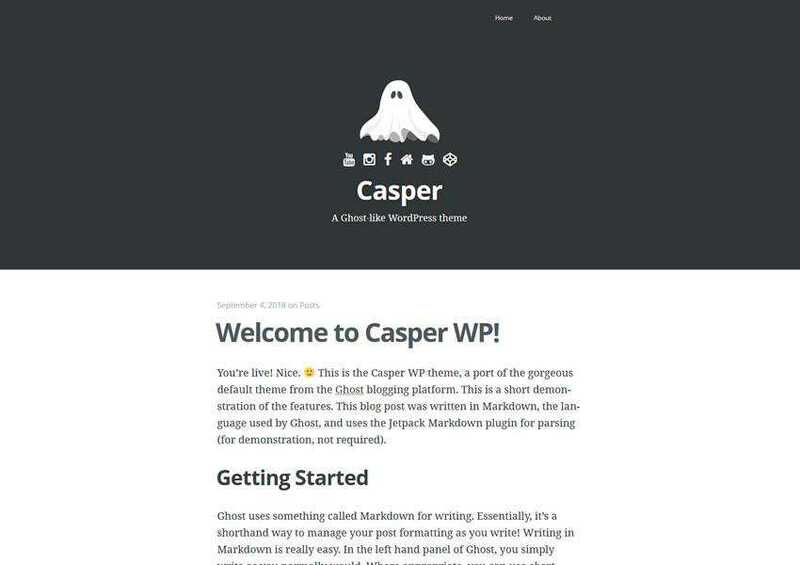 The Casper theme is another theme that’s quick to setup as it offers a minimal amount of features. The theme has a single column layout and is fully responsive. 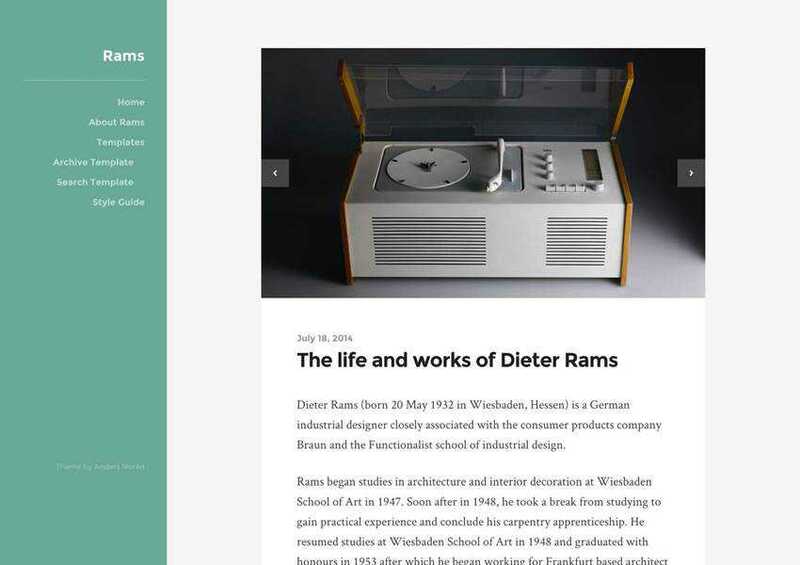 The Rams theme offers a standard two-column layout with a colorful sidebar and gorgeous typography. The theme is perfect for bloggers and authors and is fully responsive. It also includes full Jetpack support and support for various post formats. The Vito theme is sure to grab the attention of your visitors thanks to stunning animations which bring your content to life. The theme is also fully responsive so it will great on any device. 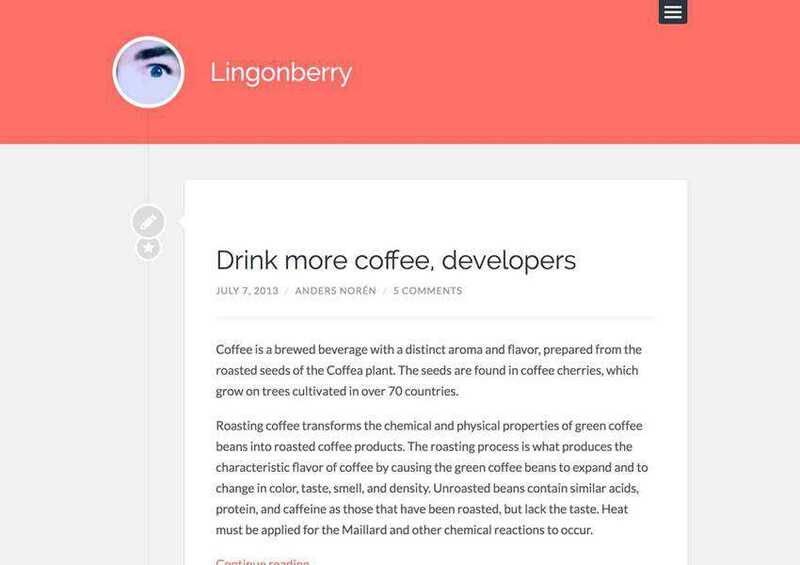 The Lingonberry theme uses a timeline-like display for your blog posts. It offers a single column layout and supports multiple post formats and Gutenberg. 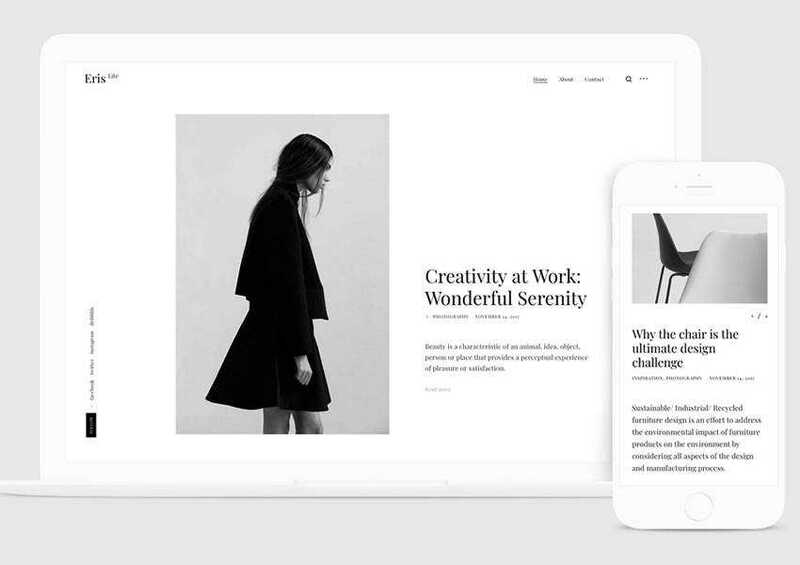 Minimal WordPress themes are a great choice when you want to make sure your content stand out. They can be used by bloggers and writers as well as designers and creatives who want their portfolio to be the main focus. 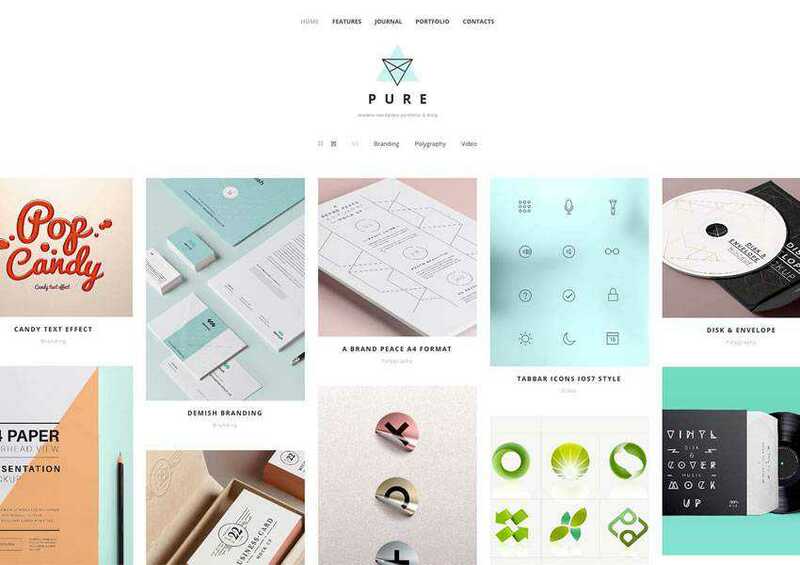 Use this roundup to find the perfect minimal theme for your website.